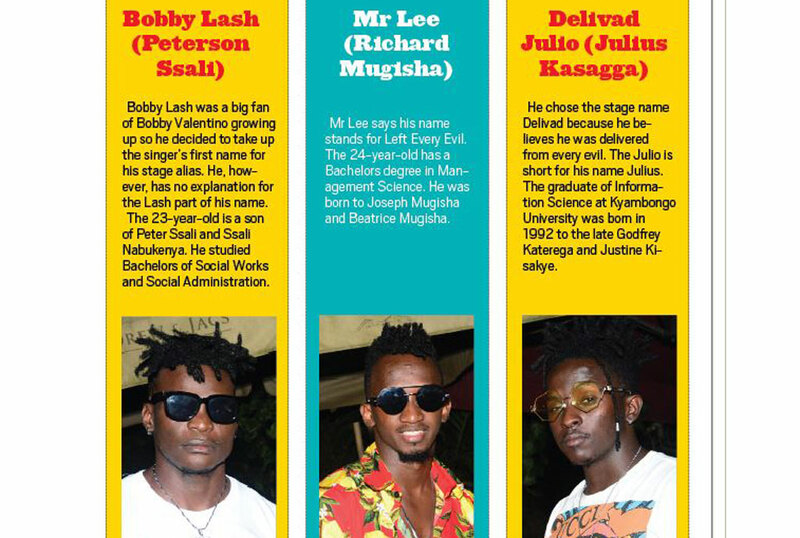 THE TIME IS NOW: Bobby Lashly (Peterson Ssali), Mr Lee (Richard Mugisha) and Delivad Julio (Julius Kasagga) are the trio that make up the singing group B2C. After three years in the industry, the group will be staging their first concert at Freedom City amid prior controversy. Lawrence Ogwal caught up with the boys for a one-on-one. We have been up and down, but mostly we have spent the last two months rehearsing for the B2C Live in Concert that will finally come to pass tonight. Artistes usually pick a song name for their concerts. Why didn’t you do the same? We have many songs so it would be unfair to choose one. It is our first concert, so we chose to call it B2C Live in Concert. Why have you guys waited all this time to have a concert? It is true we have had some good songs, but they were not enough to sustain a concert. We did not want to organise a concert and sing only five songs. It would have been unfair because we would not have given them value for their money. At least now we have more than 20 songs. What has kept you going strong the past three years? Persistence, focus and love for work plus being ambitious is the reason we have come strong and we are still singing as B2C. Even after three years, we are still working on delivering bigger and better things. Not many groups survive this long. What is the trick behind the B2C chemistry? We were not picked from random places. We have never had solo careers. We became a trio automatically and that is how we manage to have the chemistry. So when one is singing a chorus, it becomes automatic for us to have verses for the song, it is natural. How do you manage to come up with a song? As singers, a song comes as a feeling but as B2C, we have three feelings coming together. Some of our songs came from one of us singing in the bathroom or kitchen and before we know it, the song is in studio. What are some of those songs that just happened? Kapande and Gutamiza. We were home and we found ourselves with choruses to these songs. We then called Mowzey Radio since we had asked to work with him and he called us to studio. We went with Nessim and Gutamiza was born, the same thing happened with Kapande featuring Eddy Kenzo. But where does B2C as a group come from and how did you team up? 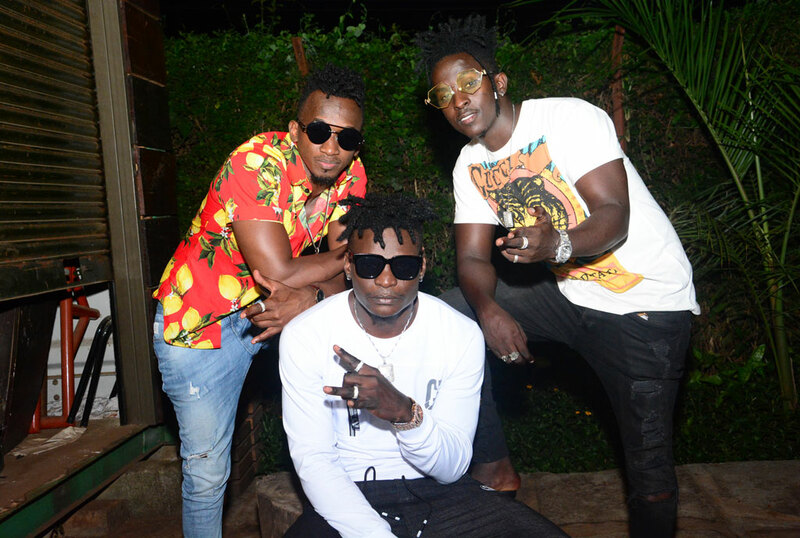 We met in Senior One at Crested High School in Makindye and in Senior Two we took over the school as the cool guys; it was a group of about 10 students who used to entertain students but some lost interest, others joined other schools and we remained just three. We used to perform at all school events and we did this for six years. We then all joined Kyambogo University and graduated in the same year. We have been together since Senior Six since we are all unmarried, but we do not live in the same house. We have three houses in the same gate and everyone has their own. We grew up in Makindye and that is where we live. When Gutamiza came out, they said two of you sounded like Radio and Weasel. Were you offended? Why would we be offended? We were in Senior Two in 2007 when Radio and Weasel hit the music industry and we followed them a lot. They inspired us so much that we hit the studio and did our first song, titled Omutima Guluma. So when someone says we sound like Radio and Weasel, we are super proud. What was your relationship like with Radio and Weasel besides working on Gutamiza? Radio had become like a brother; he would call us and meet up wherever we hanged out. We were planning to do more songs, but unfortunately he passed on. You talk only about Radio. Is Weasel nothing to you guys? Weasel is our friend and very soon we shall work with him. We have heard that your manager Andrew Mugerwa aka Andy Events pays highly for your collabos. How true is this? We have also heard these rumours, but it is not true. We dare any artiste who claims we have paid for a collaboration to come with proof. Talking about Andy Events, how did you meet? We knew Andy way before he even started his events company. He had a bar in Makindye called Club 44, where we used to perform. One day we approached him and sold him the idea of pushing our brand and he was willing to work with us. Is Bebe Cool on the list of performers at your concert? Initially, we had him on the list but after the show last Friday, he made a statement and said he will not be performing at public events anymore and we respect that. Talking of last Friday, what do you think of what happened to Bebe Cool? As B2C, we do not wish what happened to Bebe Cool to happen to anyone. We feel that however much you hate someone, you do not hurt them. We saw A Pass mocking Bebe Cool about the incident, what do you think of that coming from a fellow artiste? Different people have their different ways of thinking and that was how A Pass came through on the situation. What is B2C’s relationship with Bebe Cool? Bebe Cool is a good guy. We have met on several occasions at events and he has advised us on how to go about the industry. B2C as a group is not into politics. We see Bobi Wine as a fellow artiste and not a politician. We would not want to talk about politics because we do not know much about it, but we wish Bobi Wine a quick recovery. You were on the poster for the Swangz Avenue show, but we did not see you perform. Why? There was a miscommunication between Julius Kyazze and our management. So we could not perform and after the show, no one came to complain about us not showing face, meaning it was no harm. Did the ‘miscommunication’ have something to do with Swangz having a prior clashing date with your show? Not really because we eventually pushed the date forward. Besides the fact that Tarrus Riley was performing, we respected the fact that Swangz Avenue was celebrating 10 years and we were celebrating three years. We share fans and we chose to do the show on another date so that the fans can enjoy Tarrus Riley and also enjoy B2C. How did the dates come to clash? When we were setting dates for our concert, we did not tell Swangz so we were surprised that we were doing the show on the same date. When our management sat down with Julius Kyazze and he told us that he had already booked Tarrus Riley for the set date, we had to bow and respect their request. What should fans expect at your concert?